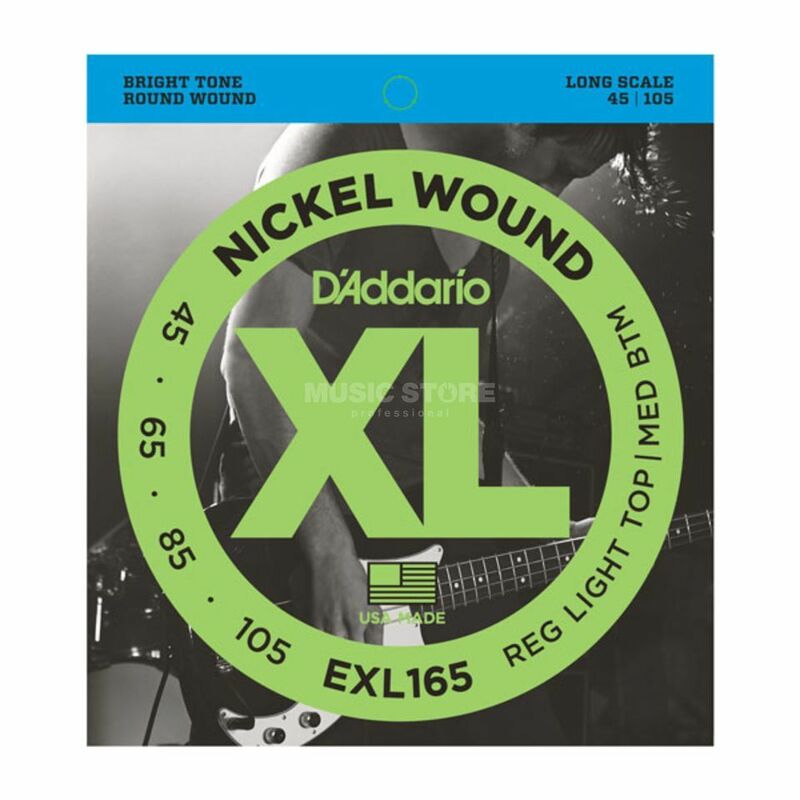 The D'Addario EXL165 Long Scale Custom Light Bass Strings 45-105 is a set of four strings for a bass guitar. The EXL165 set combines the high strings from an EXL170 (.45 and .65) with the low strings from an EXL160 (.85 and .105). The distinctive bright tone of XL nickel wound strings combines with greater dynamic control and a more consistent feel between strings. This production offers evenly balanced bending, strumming, fretting, picking, and plucking. XL Nickel Wound strings are precision wound with nickel-plated steel onto a carefully drawn, hexagonally shaped, high carbon steel core. I have been using these stings for a couple of years now, and I can say that these strins are one of the best I have ever tried. I tried alot of other strings (like the ghs) but for me these are the best. They have a nice bright sound. Nice tone, nice durability and great price!